Along with a look at the history of risk management this DVD, produced in the aftermath of Hurricane Katrina asks "Should the government step in when insurance companies can't respond?" We insure our homes, cars, businesses, health and our lives. Today, you can even insure your pets. But who insures that you will be covered for what you pay for? This video delves into what happens when the traditional insurance system is overwhelmed in a disaster such as Hurricane Katrina. In this video, economist Niall Ferguson travels to New Orleans following the disaster and takes a look at how insurance companies responded. Should the government step in when private insurers can't respond? That is just one of the issues addressed in this DVD. Ferguson also takes a look at the history and development of insurance, explaining one of the earliest insurance schemes "The Scottish Ministers’ Widows Fund". 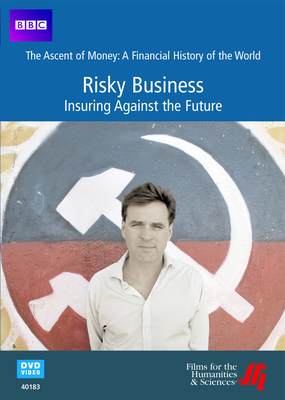 He addresses the invention of futures trading, and looks into how Chilean worker's pensions were invested as a form of "risk management." This video is part of the documentary series "The Ascent of Money: A Financial History of the World" and is made available under license from BBC Worldwide.